technical framework for the construction of High level Strategic Infrastructure projects through the two countries. 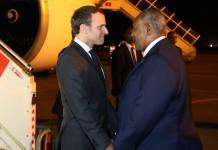 The delegation is composed of the State Ministers and permanent secretaries from the two countries. 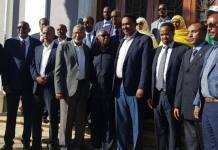 Ethiopian ministers of transport, economy, tourism and social and labor affairs – met with Djiboutian President Ismail Omar Guelleh and government officials. 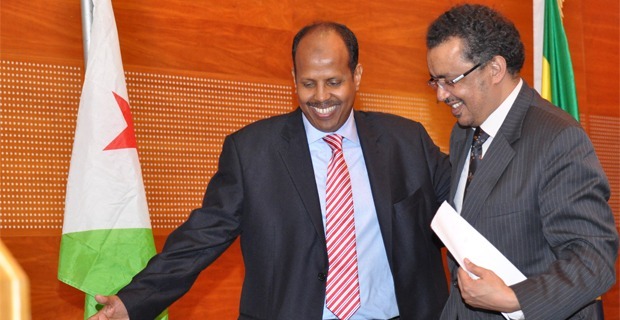 “Talks… focused on bilateral cooperation and the ongoing Ethiopian-Djibouti railway facelift project,” a senior Djiboutian official told HAN & Geeska Africa Online Security Reporter, Jamal Abiib. The multibillion project aims to replace an obsolete railway system built with French assistance in the 19th century. The Ethiopian Ministers further said that the projects would take almost three to five years for it to be implemented due to technicality and difficulties. 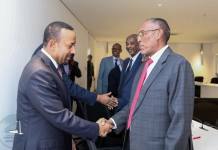 A joint Ethiopia-Djibouti commission meets periodically to update and discuss cooperation between the two IGAD member states, according to IGAD2020 Regional security Watch.